CFM International (CFM) was formed as a 50/50 joint company between GE and Safran Aircraft Engines in 1974. Today, CFM is the world’s leading supplier of commercial transport aircraft engines. Since the first engines were delivered in 1982, CFM has received orders for more than 42,000 CFM56 and LEAP engines from 570 operators worldwide and has delivered more than 32,300 CFM56 engines. The company has also introduced the advanced LEAP engine to power the Airbus A320neo, the Boeing 737 MAX, and COMAC’s C919. CFM has garnered orders for more than 15,250 LEAP engines. The first LEAP-1A-powered Airbus A320neo entered service in August 2016; more than 200 aircraft have been delivered to 26 airlines worldwide through June 2018. The first LEAP-1B-powered Boeing 737 MAX aircraft entered service in May 2017 and there are more than 145 aircraft in operation with 31 airlines. The engine is delivering a 15 percent improvement in fuel efficiency along with significant reductions in noise and emissions levels while maintaining CFM’s industry-leading reliability and overall cost of ownership. The agreement that established CFM calls for the two parent companies to share everything equally, from design and development to production and support. Final engine assembly is performed both at GE facilities in the U.S. and Safran Aircraft Engines facilities in France. 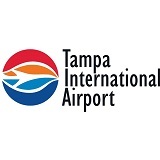 Tampa International Airport is the premier gateway to the treasures of Florida’s West Coast. Serving a metropolitan area of almost 3 million people and annually welcoming 20 million passengers, TPA provides access to the country’s best beaches, Florida’s ample tourism hotspots and one of the fastest-growing economies in the U.S. TPA currently offers more than 85 nonstop flights to destinations around the world including Frankfurt, Zurich, Panama City and London. TPA is one of the world’s most loved airports with a track record of recognition from the public as well as trade publications and groups. Building on a longstanding track record of success, TPA has recently completed the largest construction project in the history of the airport. With an investment of nearly $1 billion, TPA expanded the airport’s main terminal by 50,000 square feet, opened a state of the art rental car facility and connected them with a brand new 1.4 mile people mover. At the same time, TPA is added local flavor and supports Tampa Bay Area businesses in a complete overhaul of the airport’s concessions program. Since opening in 1971 with a revolutionary and oft-copied design, TPA has been, and remains, America’s Favorite Airport. Today’s efforts ensure it will remain there for generations to come. Volantio is a global leader in post-booking revenue and capacity optimization software for airlines. Based in Atlanta, GA, Volantio partners with major airlines globally such as Qantas, Iberia, Alaska Airlines, Volaris, and others. Yana, Volantio’s flagship web-based platform, leverages machine learning algorithms to drive higher unit revenues and improved capacity utilization after customers have booked their flights, while also improving overall customer experience. Airlines use the technology to proactively identify flexible passengers on target flights, make them offers to move to lower demand flights, and automatically re-book them once they accept. Passengers are notified, via mobile, days in advance of departure, minimizing last-minute hassle and providing enough time to change plans accordingly. The Yana platform also provides a significantly improved customer experience for passengers on the day of departure, when weather disruptions, aircraft swaps, oversell situations, or irregular operations may impact customers. Airlines as well can save significant resources, and decrease front-line stress, by automating these processes. Volantio has been backed by leading strategic and industry investors globally, including JetBlue Technology Ventures, International Airlines Group, and Qantas Ventures.